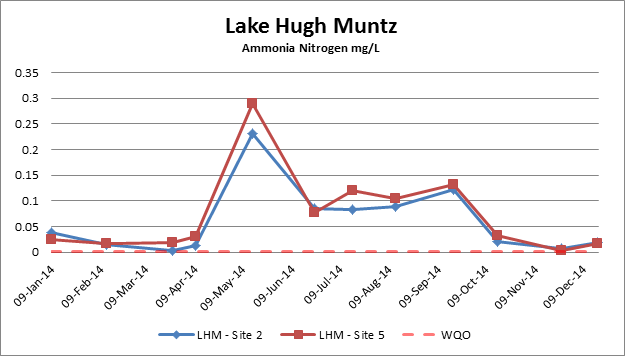 •Lake Hugh Muntz Site 2 has 10 years worth of data. •Site 2 was sampled on a quarterly basis from 10/09/2001 until the 06/04/2011. •From 06/04/2011 until 25/05/2012, sampling was conducted on a monthly basis at four sites (Bel Air Park, Morialta Park, Warringah Park and Otway Park). •The monitoring program now includes six sites. These six sites are sampled on a monthly basis. 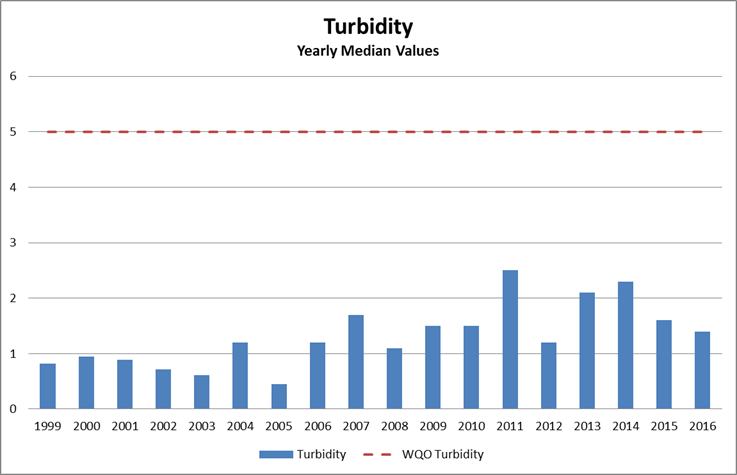 10 years of water quality data (generally good quality). Indications that nutrients are elevated at times. 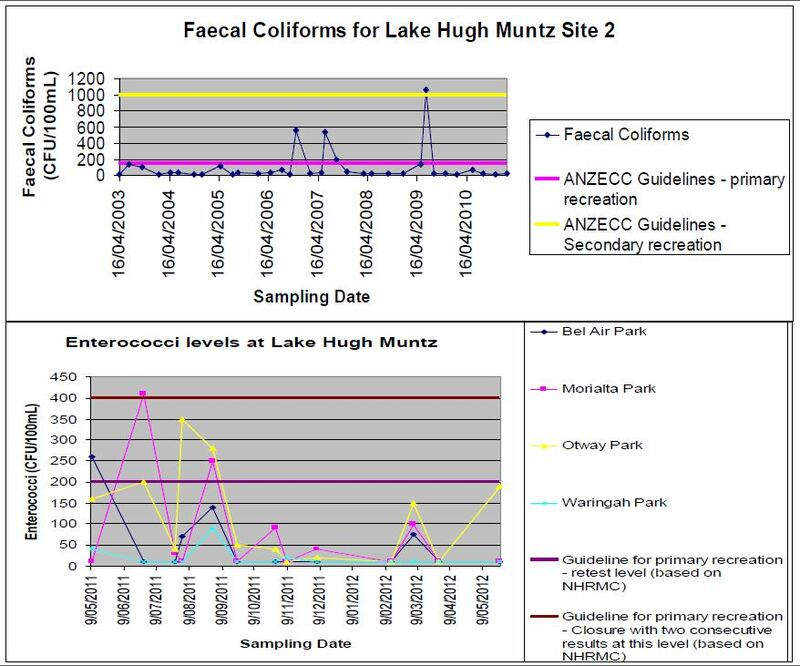 Faecal coliform have been elevated at times. 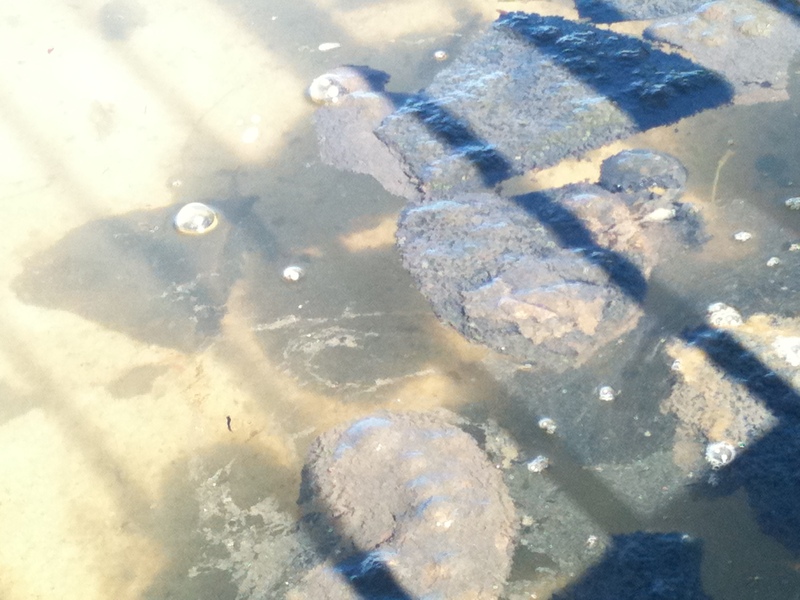 Blue green algae have been present at times. pH, dissolved oxygen, turbidity, salinity have been consistent. Increased rainfall and run off from 2003 to 2012. 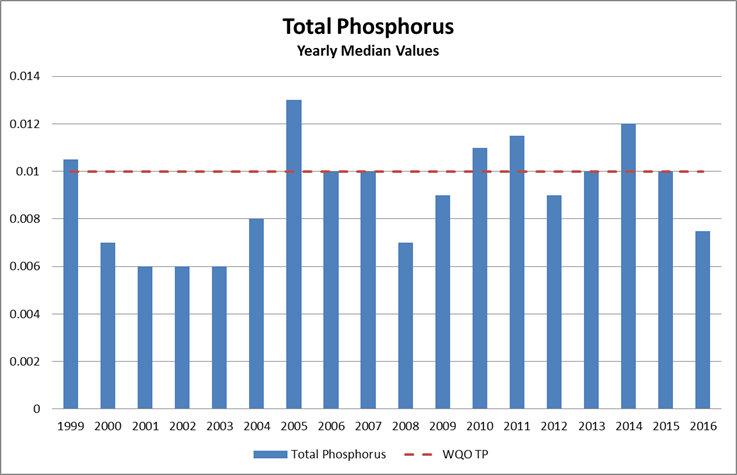 Latest Water Quality Results and Conclusions. Water Quality Summary March 2018 Courtesy Gold Coast Council. 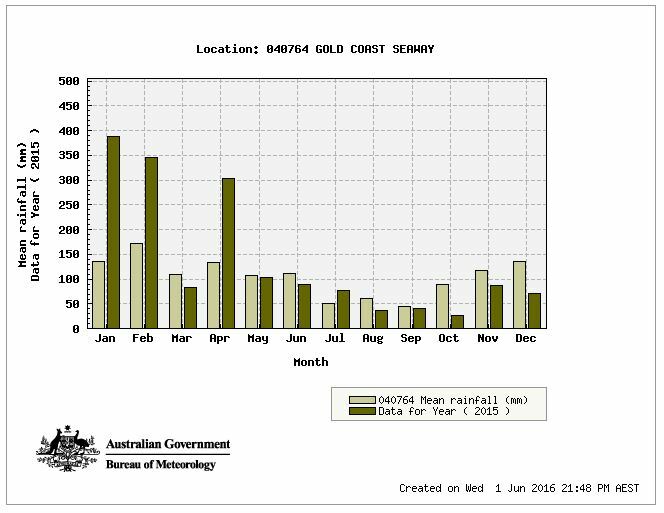 2015 started off with above average rainfall but in the second half of the year and continuing into 2016, the rainfall has been well below average. The lack of rain would contribute to less nutrients from properties being washed into the lake. The lack of heavy downpours has hopefully increased the efficiency of the drain litter baskets with more leaf litter being collected and again less nutrients entering the lake. On the negative side, the lake has not received any flushing over the past year with not enough rainfall to fill the lake to overflow. Water Visibility. Water visibility improved leading into spring but usually deteriorates through summer. With the lack of rainfall however, water clarity has remained good throughout summer and into Autumn. 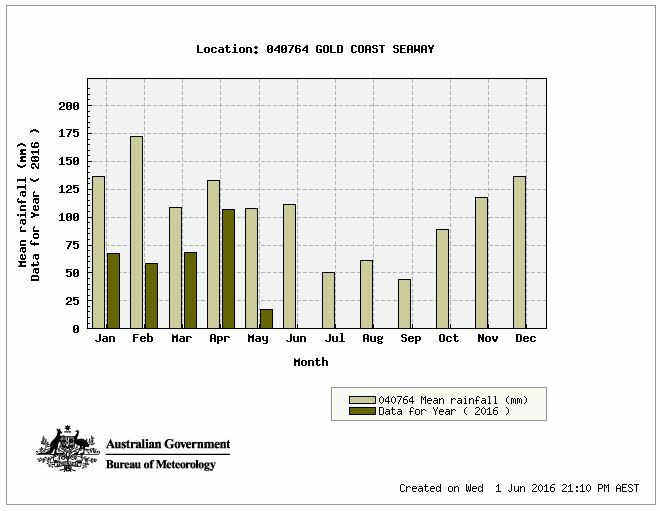 Graphs below – Courtesy: City of Gold Coast Council. 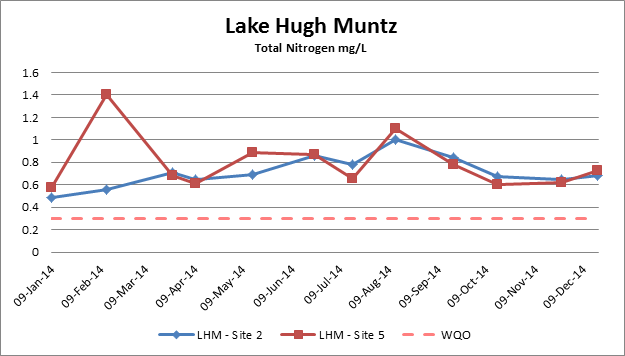 Large increases in Nutrients occurred mid year due to sand replenishment works. 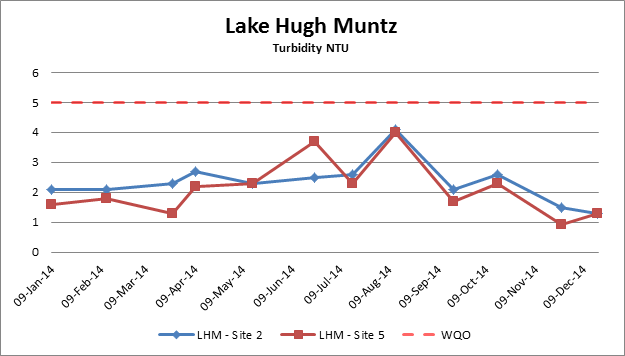 Levels slowly returned to normal towards the end of the year but well above the Water Quality Objectives for a health lake. 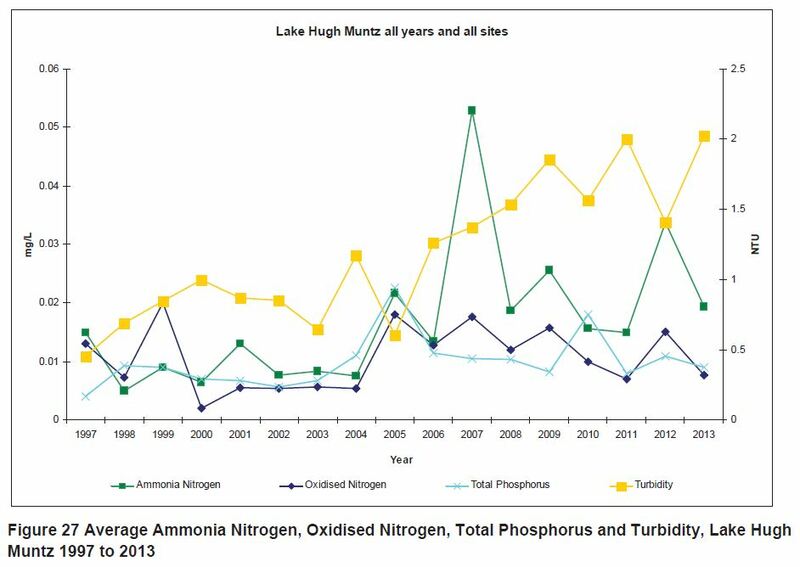 Water quality in Lake Hugh Muntz is generally good however nitrogen, ammonia and phosphorus concentrations have increased over time and a slight increase in turbidity has occurred since July 2007 (Figure 27). Water quality issues are likely to be due to the nutrient load from urban runoff and atmospheric deposition. 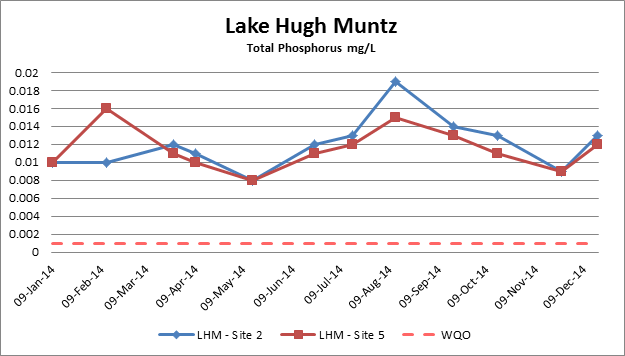 High rainfall in recent years is expected to have contributed to the increase in nutrients with Lake Hugh Muntz. 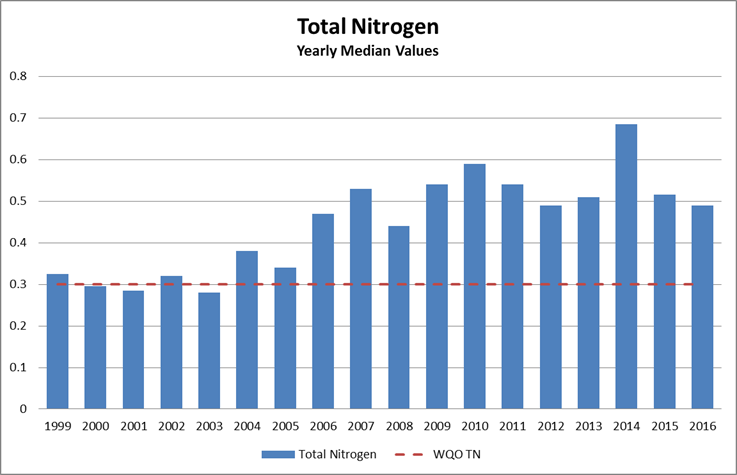 The increases in nutrients cause algal blooms, which are present in most natural systems and depend a number of factors and chemical and physical processes. Increases in nutrients may be attributed to a number of contributing factors, including but not limited to natural variation, stormwater run-off; and garden fertilisers. 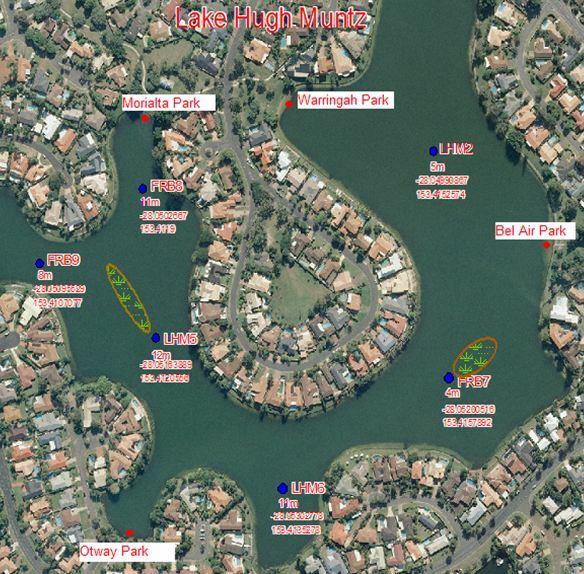 Since the introduction of the floating reed beds in Lake Hugh Muntz in 2012, the reed beds have been relocated twice. Further monitoring over the longer term will be needed to determine the success of the trial at managing and reducing nutrient levels within the water body. Although changes in nutrients have been observed since the instalment of the reed beds, no evidence suggest that these changes are correlated to the instalment of the floating reed beds and may be only a result of natural events and/or anthropogenic effects. 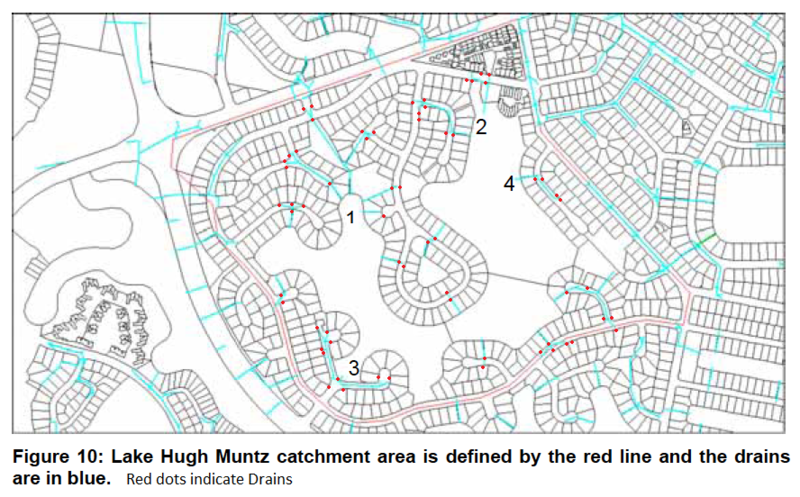 Improvement of the storm water quality. Control of aquatic vegetation and sediment assessments. Control of pest fish populations. Information transfer (website & signs).